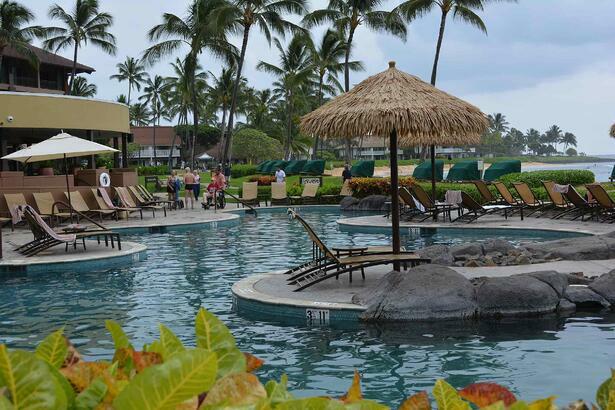 There are common problem areas we spot on Kauai resort properties. Here are seven of them and what can be done to improve those spaces. Walkways require upkeep because what lies beneath them is active ground that is subject to weather conditions. The soil naturally settles over time, and weather conditions including rainfall can cause it to shift. That results in heaving of concrete blocks, and grade shifts in walkways and sidewalks. >>Fix: Make your property safer. Consider pavers as an alternative to concrete or asphalt because they can adjust slightly as the ground settles. Heaving concrete blocks should be replaced or raised so the surface is even. (For safety, the drop between concrete blocks should be no greater than 1 inch.) Add topsoil next to walkways so the change in grade between sidewalk and edge of walkway is no greater than 2”. 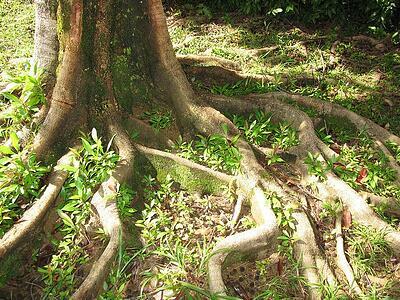 As trees mature, roots that are close to the surface can be exposed and appear to erupt out of the ground. Sometimes, roots create slight bumps in the lawn; and other times the roots protrude and can become a trip hazard for guests on your resort property. >>Fix: Conceal exposed tree roots and create a safer area for pedestrians by adding topsoil and planting groundcover. This solution works double duty: 1) You protect tree roots and preserving the plant’s health (you don’t want to cut or damage roots! ); and 2), you’ll discourage foot traffic by growing groundcover. Your resort pool is perhaps the highest visibility area, along with the property entrance. The pool is where guests spend their time, and so you want to keep the landscaping in this area healthy, vibrant and relevant. Over time, landscaping at your resort can get overgrown, and styles change over time. >>Fix: Refresh poolside landscaping by consulting with an experienced landscape provider, like No Ka Oi, that can offer fresh ideas for your tired space. Because of erosion, settling and just the nature of where water falls on a property when it rains, there can be a need to improve drainage to avoid flooding, puddles in parking lots and other issues. We often have to address drainage after we discover where water lands. >>Fix: During a property walk-through, we can identify areas where water run-off and puddling or flooding is a concern. From there, proper drainage infrastructure can include re-grading or including raised planting areas to redirect water. Also, there are hardscape options such as permeable pavers that can absorb water run-off more readily. The truth is, palm trees that are past their prime aren’t always so attractive and can really age a Kauai resort property. Also, depending on their size and health, older palm trees can be more susceptible to storm damage. This does not mean you need to remove aging palm trees. But you do need a plan. >>Fix: Plant smaller palms nearby, and make an event of it. Host an Arbor Day ceremony when you install the new palm tree, or find some way to celebrate the “new arrival.” If the time comes when you need to remove the aging palm tree, consider leaving the trunk and carving a tiki into it. Older palms can leave a legacy that adds character to resort properties—and meanwhile, the new palms will fill in. Landscaping is a significant part of the Hawaii resort experience for guests. And when you consider the size of resort properties, a good part of the property is green space vs. buildings. Some of the resorts No Ka Oi cares for are 20 acres or larger. Without landscape lighting, once the sun goes down, all that beautiful scenery on the property disappears. You can’t see the property’s plants and landscape features at night. 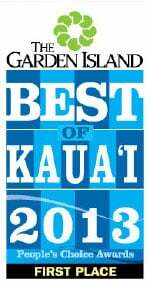 >>Fix: Landscape lighting allows you to extend the enjoyment of your Kauai resort. Plants and outdoor living environments take on a new dimension at night when lit creatively. And, today’s innovative landscape lighting technology allows you to switch the light color as a fun way to accent areas of your building or landscape during holidays or special events. We often find broken irrigation components, especially on properties that still have systems with fixed heads that can be bumped and damaged by golf carts, mowers and more. Plus, older systems are not as water efficient and can cost resort owners more to run. We also find irrigation problem areas where not enough water, or too much water, is being distributed. 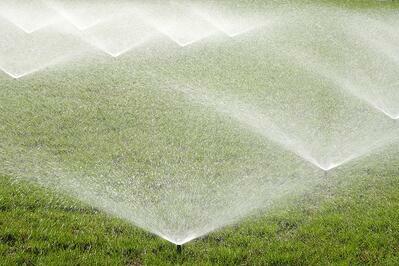 >>Fix: An irrigation audit can uncover leaks, broken and clogged spray heads. Technology such as rain sensors and smart irrigation controllers can save water and dollars. 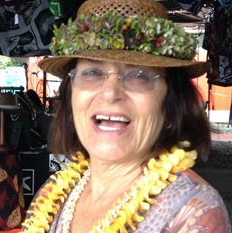 Guests travel to Kauai to take in the breathtaking scenery and enjoy time outdoors. Your landscape can make or break their experience. 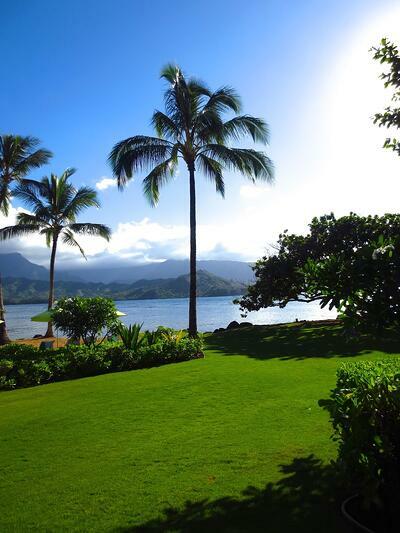 By addressing common problem areas on your grounds, you are increasing the property value and the likelihood that visitors will return to your Hawaii resort time and again. Not sure where to start? We can help by suggesting improvements and visitor friendly resort amenities. 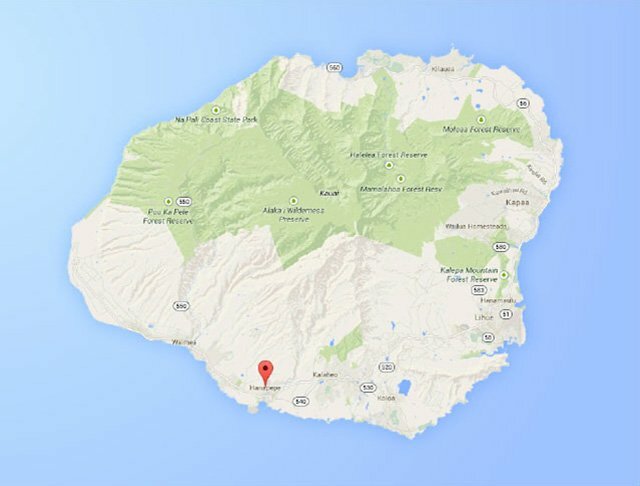 Call us anytime at 808.335.5887, or fill out this simple contact form and we’ll get in touch with you.